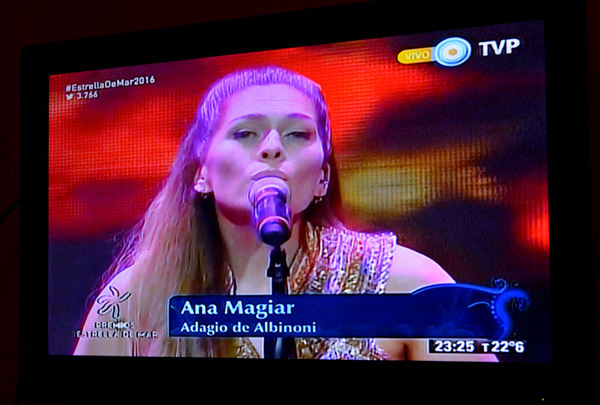 Classical crossover singer Ana Magiar sung live at the Premios Estrella De Mar ceremony held on February 1, 2016 in Mar Del Plata, Argentina. The whole event was held at the Estadio Arena de Mar del Plata and it was televised by the TV Publica, (the Argentinean government’s TV channel). The Estrella de Mar awards are giving to the shows and plays shown during the summer vacation season in the city of Mar Del Plata, one of Argentina’s most popular vacation destinations.